The first is to read Gavin Bryars, “Vexations and Its Performers,” a reprint on our Journal of Experimental Music Studies page. You can find the article here: http://www.experimentalmusic.co.uk/emc/Jems_files/Bryarssatievexations.pdf . In it Bryars relates all known performances of this piece (a short piece which can be played 840 times if one adopts the right attitude) up to the article’s publication in the early 1980s. Then — and this is an unusual request, because we at the EMC tend to avoid advertising once an item has been announced — you might think about studying and listening to Satie’s longest through-composed piece, Le fils des étoiles, which we have both in a critical edition of the score by Christopher Hobbs, and in a CD by Chris Hobbs, who gave what is thought to be the first performance in its entirety in 1989. 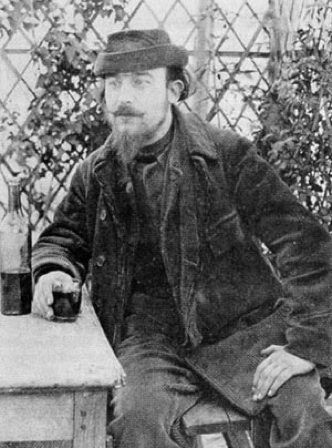 Le fils des étoiles (1891), lasting over 60 minutes, is Satie’s longest work for piano (Vexations, c.1893, is longer only by dint of being played 840 times), and was originally intended to accompany a drama by Josephin Péladan, founder of the Order of the Rosy Cross, the Temple and the Grail. The three act-preludes are well known, having been published in various editions and recorded several times, but the act-music is unfamiliar even to Satie enthusiasts. This strange hieratic music, built like a mosaic out of repeating motives, some up to sixteen bars long, some only a few beats, is quite unlike any other being written at the time except by Satie himself in contemporaneous works such as Salut Drapeau! and Trois Sonneries de la Rose+Croix. This first-ever critical edition of the score includes the two texts which Péladan wrote describing the action of the drama (in the original French and in English translation by Andrew Hugill), together with Satie’s Dedication. The CD includes a programme-note by the distinguished Satie scholar Robert Orledge. To get either, or both, the score and CD, see our Le fils de étoiles page: http://www.experimentalmusic.co.uk/emc/EMC_103.html . Or contact us here — and have a little drink to Satie!